Get control over your files! 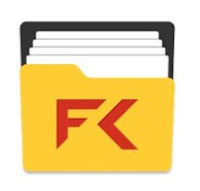 File Commander is a complete feature-rich file manager allowing you to access and handle files on your Android device and remote files stored on external cloud services such as Google Drive, DropBox, Box and SugarSync account. You are able to handle separately files from the same type, eg pictures, music, videos, documents, etc. Rename, delete, move, zip and send in just a few taps on your screen.